Most agents have a commercial real estate website, however many are little more than a static page that is buried under the millions of of other agent sites out there. It sits there online, no one sees it, and the result is little or no leads. It is easier than ever for homebuyers to find the information they need online, but the competition is also fiercer than ever. Your website should be working for you 365 days a year, 7 days a week, 24 hours a day and act as your lead generating machine. The goal of your website should be to establish a presence in your market and make it easy for home buyers and sellers to find the information that they are looking for. 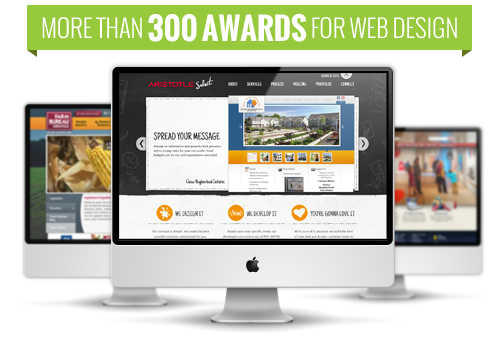 According to a RealTrends study on the market’s interaction with commercial real estate websites, there were 204 million unique visitors to real estate websites in 2014. How would you rate your online presence? Is your website worthy of attracting visitors, and more importantly, does it provide them with what they need? If you want to be taken seriously, you need to remove the invisible cape and establish a sound online presence. Here is a list of 6 must-haves for your commercial real estate website to capture and engage home buyers who are ready to find you and your properties. The layout of your commercial real estate website speaks volumes about you as an agent. With all of the widgets and, it’s easy to overcomplicate it. Provide your users with a clean, visually appealing experience that is representative of you and your unique value proposition. Themes should include mobile best practices and the ability to tailor images, design, colors and more. Focus on your specialized market niche and design your website around that market segment’s exacting desires to ensure your potential clients find what they’re looking for. These days, users are doing their primary searching on mobile devices, therefore your website needs to cater to a variety of mobile devices. Emphasize home search and calls to action and include mobile-responsive home search. 40% of the 240 million visitors to commercial real estate websites last year came via mobile. If your site is not mobile-responsive, you are probably losing prospective clients and holding the door wide open for them to seek out another agent’s site who is. Once you’ve driven leads to your website, how do you turn them into sales? You want to have the ability for your prospect to sign up for a free resource on your commercial real estate website, such as a buyer or seller’s guide to your area or MLS search. Seller and niche lead capture forms should be built into your website and customized to target specific clients. Customize lead captures and calls to action, such as home value landing pages and eBook offers to achieve high quantity (and high quality) IDX and buyer leads. Content marketing is essential to a powerful online presence. You want your website to be found by prospects, right? Keep in mind that 51% of traffic to your site comes from organic searches. Make a list of your ideal prospects, the area of town they want to purchase or sell their home. What is the price range of this home? What neighborhood is this ideal prospect’s home? These are all great keyword ideas you’ll want to use in your headlines, posts, and in blog categories or tags to help make sure your prospects find you. More and more commercial real estate professionals are using video and media in their messages. Why? Because it’s of the most powerful forms of content, SEO, and client communication. In today’s world, consumers would rather see a video of a home over still pictures or wordy descriptions. By integrating video, you can get commercial real estate consumers to spend up to 90% more time on your commercial real estate website. In order to stand out and stay relevant in a crowded webosphere, you need to have a commercial real estate website that will draw in traffic, make searching easier, and turn visitors into clients. Easier said than done, right? Instead of trying to reinvent the wheel, turn to industry experts who understand the needs of today’s home buyers and sellers and have already done the work for you. Top agents deserve a customized look and feel, so get a bold, branded website that communicates the unique value you offer so you can start generating more leads.